Available for Hockey 1-4 & Atom/Pee Wee. 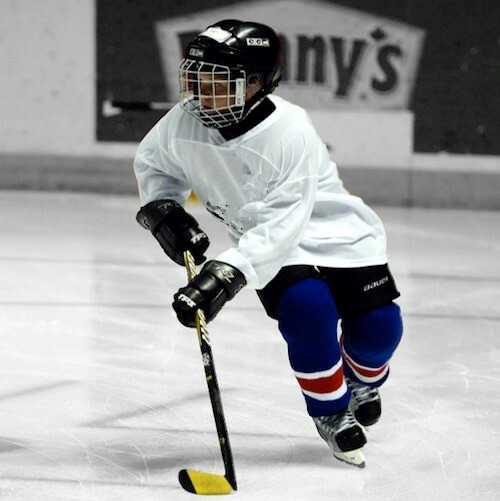 This program includes national level instruction in Power Skating (CanPowerSkate) Instruction includes balance, edgework, tight turns, cross overs, stride, stopping, starts, backwards, backwards crossovers and pivots. This program also includes puck control, passing, shooting and controlled contact. RPM takes the power skating aspects of this program and instructs how it relates to puck skills. This school offers a comprehensive, well rounded delivery of all skills one must acquire and develop to play the game. All participants must register & pay online before attending to be covered by our liability insurance. Academy Volunteers! You may notice that we have several young volunteers assisting RPM Staff during this program. These volunteers are from the Pacific Rim Hockey Academy they are not paid staff they are students who assist and support our instructional staff. These volunteers earn academic credits for volunteering, work experience and grad transitions. Their involvement is part of our Academies Personal Growth and Leadership Mandate.